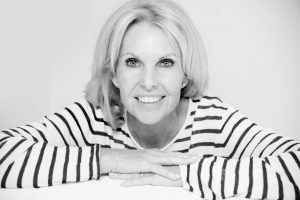 Hydro-Aesthetics is a private fully licensed clinic providing non-surgical treatments in the heart of Essex, owned by Sue Gregory who is a qualified nurse with over 25 years’ experience. Sue is a qualified Independent prescriber who has worked as a Clinical Nurse Specialist (CNS) in the NHS for over 17 years. Whilst working as a CNS Sue worked alongside two Consultant Neurologists as an injector of Botulinum Toxin for the treatment of Dystonia, Blepharospasm, Hemi-Facial Spasm and Hyperhidrosis. 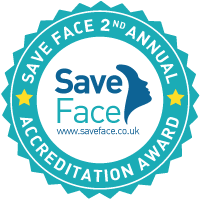 Sue is Harley Street trained in Aesthetic Medicine to an Advanced level administering anti-wrinkle injections and dermal fillers. Alongside providing aesthetic procedures Sue is also an experienced registered Colonic Hydrotherapist. Hydro-Aesthetics offers a high quality service ensuring a professional and personal service at all times. 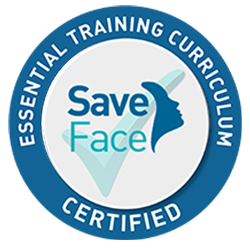 Sue is registered with the Nursing and Midwifery council (NMC), the Royal College of Nursing (RCN) and is a member of the British association of cosmetic nurses (BACN) & the Association of Registered Colonic Hydrotherapists (ARCH). Sue is both professional and personable making my botox and filler experience totally at ease. You can tell how much she values her profession and her clients, and has given me the best experience I could ask for! I certainly wouldn’t go anywhere else now! She’s the best. Selecting Sue as my Colonic Hydrotherapist is one of the best decisions I have ever made; 5 years on and not only is colonic hydrotherapy essential to my wellbeing but I simply would not go anywhere else. Sue’s immaculate clinic and professional yet friendly demeanour makes every experience a comfortable one. She is also an absolute perfectionist who is dedicated to my individual needs; focussing her attention on me, rather than the clock. It is for these reasons that when I made the decision to begin having Botox a year ago, naturally, the only option was Sue. In addition to the fantastic results, I never cease to be impressed with the expertise and level of care that Sue provides. I cannot recommend her highly enough. I would 100% recommend Sue. It was my first time getting my lips done and I couldn’t of been happier, making them the exact shape I was looking for. She puts so much care into her work, always stopping to massage them to make sure they are perfect – and they were! I then went for a top up and botox as I was unhappy with my frown line on my forehead and yet again I couldn’t fault a thing or be happier with Sue’s amazing work! She honestly makes you feel so comfortable and I always look forward to returning! I have been a client of Sue for a couple of years. Not only is Sue a perfectionist in all her treatments but she makes me feel so relaxed and I have complete faith in her. The room where her treatments are carried out in is immaculate and very very clean. I would highly recommend Sue for any treatment and I probably have most of them! I was recommended to Sue by a friend. I first went to sue for a colonic and the results were amazing. I now visit sue on a regular basis and it has made a massive difference to how I feel. I have also had lip fillers and Botox done by sue. The results are amazing. It looks so natural and given me a confidence boost. Sue takes you through the whole process and explains everything in so much detail. Really listens to what kind of results your looking for. I have had so many compliments on how I now look. The aftercare service is great too getting a message the following day to see how you are. Sue makes you feel very relaxed and her room where the treatments are done is lovely and welcoming. I have since recommended people to sue. Overall it is a great service and I am looking forward to having more colonics and lip fillers and Botox when needed. I was recommended to Sue by a friend and cannot speak highly enough for the service and treatment received by this very lovely lady. Very professional and personable and the results of my treatment were amazing!